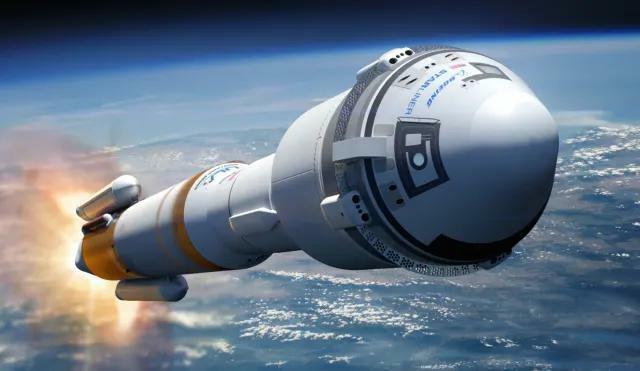 WASHINGTON, March 20 (CGTN) -- Boeing Co. has delayed by at least three months its first uncrewed flight to the International Space Station (ISS) under NASA's human spaceflight program, and pushed its crewed flight until November, industry sources said on Wednesday. Reuters reported last month that NASA has warned Boeing and rival contractor SpaceX of design and safety concerns the companies need to address before flying humans to space. Boeing's first test flight was slated for April but it has been pushed to August, according to two people with direct knowledge of the matter. The new schedule means that Boeing's crewed mission, initially scheduled for August, will be delayed until November. A NASA spokesman declined to comment but said a new update to the launch schedule would be posted next week. NASA is paying Boeing and SpaceX about 6.8 billion U.S. dollars to build rocket and capsule launch systems to return astronauts to the ISS from U.S. soil for the first time since America's Space Shuttle program went dark in 2011. Earlier this month an unmanned capsule from Elon Musk's SpaceX completed a six-day round-trip mission to the ISS. Its astronaut flight is planned for July. For years, the United States has relied on Russia for rides to the space station. The clock is ticking because there are no seats available for U.S. crew on the Russia spacecraft after 2019 given production schedules and other factors. NASA said it was considering paying for two more seats to the space station for autumn of 2019 and spring of 2020 to ensure U.S. access. The initial April launch was ahead of a United Launch Alliance mission for the Department of Defense in June from the Cape Canaveral launch pad in Florida, so Boeing would have needed to clear the launch pad by the first week in May, one of the sources said, describing the pressure not just on technical issues but also launch schedules at Cape Canaveral. Separately, Boeing's commercial airplane division is under scrutiny in the wake of two 737 MAX passenger jet crashes in five months. The SpaceX Falcon 9 rocket with the unmanned Crew Dragon capsule on its nose sits at Kennedy Space Center in Florida on March 1, 2019.